This 8"x 13" x 7" Wardian case type terrarium vessel can be yours for less than $40 through Target. Just don't try to search for it using the words "wardian case." Target is calling this baby a "Glass Cloche Terrarium." I was under the impression that cloche meant bell. 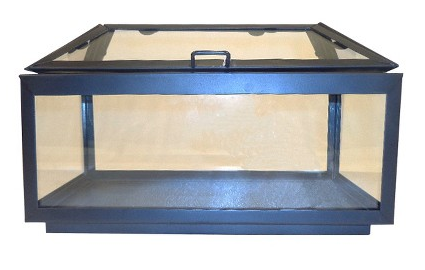 Anyhoo - it is a steal and a great option for your terrarium-mad friend who might need a good container like this for putting plants in quarantine before putting them in terrariums.